Kehres Health & Chiropractic Halloween contest! 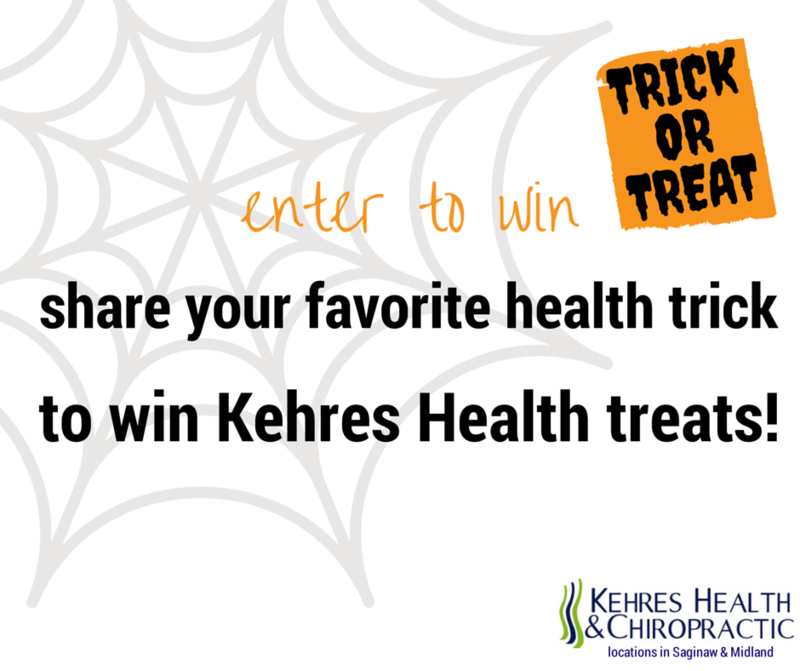 Visit our Kehres Health & Chiropractic Facebook page to enter our Trick or Treat Halloween contest! Share what your favorite health trick is and you will be entered to win Kehres Health treats! The winner will be announced Saturday, Nov. 1. One lucky winner will receive a Lifefactory bottle, chocolate whey protein powder, Eat Local MI shirt, Thomas Organic Creamery chocolate milk and a pack of Middleton Farm CSA brats! All products carried at Kehres Health & Chiropractic in Saginaw and Midland offices.